Grab a cold glass of milk, a fresh sheet of paper, and a #2 pencil. Yes, a pencil, because although it’s nice to have a plan, it’s also fun when the universe whispers to grab an eraser and write something new in all capital letters across your list of pedestrian resolutions. Let your goals be a fun starting point; a place where you can use your creativity to plan. Just sipping a cold glass of milk signals the brain that you are in action and can instantly lower any anxiety. I am not suggesting we give up the tradition, but let’s reflect on what you love about your goal-setting process and what would make the process more fun this year. I like to use the momentum of the season to think about what I want to accomplish between now and spring, but do what feels right for you. Each January, I redo my vision board (a poster board with visuals of my intentions). I also host a free goal-setting course where I invite you to block off 30 minutes of time to get your annual goals into writing and then decide on some habits, support, and accountability that will help manifest seasonal intentions. If you are interested in participating in this year’s goal-setting call, just sign up for my newsletter and you will receive an invitation to the live call, or I can send you a recording. It’s a great way to set aside time for your goal writing; you can decide what type of goal writing suits you best. The way I tackle goal setting has changed over the years and I definitely balance writing out tangible measurable goals with just imagining who I’d like to become. For example, if you goal is to write a book, you may wish to add a supportive habit such as, “I will spend one hour each morning writing.” However, I challenge you to also add, leaning into a new mindset, “If I were a published author, what would I work on today?” Allow the universe to guide your next action steps rather than feeling as if you have to spell out a daunting to-do list. I like how one of my goal-setting mentors describes this balance. Living well takes collaboration with the universe. 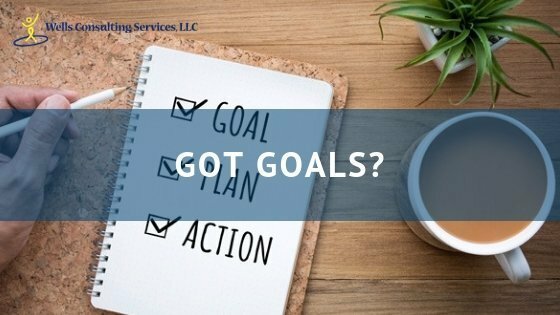 Reach out and let me know if getting your 2019 career goals in writing sparked your motivation, and if giving yourself some more permission to keep that pencil (and an eraser) close by has you more fully imbibing from that fountain of success. The best way to ensure a successful 2019 is to create a vision for the year and then set goals, create a plan, and take action!!! I will show you a simple way to create change in each area of your life. Go to militaryspousecoach.com and download my free quiz on where you are at and then we will create a plan on how to get to where you want to be. I can't wait to "see" you on this live call. Create the Career (and Life) You Deserve!